The following guide was produced by by the Police Executive Research Forum under a grant from the U.S. Department of Justice Office of Community Oriented Policing Services. The 21st century is becoming known as an Age of Technology, and one of the most important and complex types of new technology is social media. At its core, social media is a tool for communication that has become an integral part of daily life for people of all ages. Social media accounts for 22 percent of time spent on the Internet, and even among people age 65 and older—who are not generally considered prime users of new technologies—one in four people are now active on a social media website. Facebook claimed to have 955 million monthly active users worldwide at the end of June 2012. Law enforcement agencies, like many other types of organizations, are finding ways to use social media to disseminate information to the public. In fact, police agencies in larger cities are finding that their communities expect them to have an online presence on platforms such as Twitter, Facebook, and YouTube. Police departments also have begun to explore the use of social media to obtain information, especially for tactical purposes, such as gathering information about threats of mob violence, riots, or isolated criminal activity during otherwise-lawful mass demonstrations. Social media has now given protesters the ability to informally and very quickly organize and communicate with each other in real time. Police must know how to monitor these types of communications in order to gauge the mood of a crowd, assess whether threats of criminal activity are developing, and stay apprised of any plans by large groups of people to move to other locations. Similarly, in the aftermath of an incident of mob violence, police can “mine” social networking sites to identify victims, witnesses, and perpetrators. Witnesses to crime—and even perpetrators—often post photographs, videos, and other information about an incident that can be used as investigative leads or evidence. Police agencies must also consider how their own actions are reported to the public through social media. Nearly any action taken in public by a police officer may be recorded on a mobile device and instantly uploaded to YouTube or another social networking site. Many of today’s police chiefs have said that they generally advise their officers to always behave in public as if they are being recorded, because that very well may be the case. Another consideration is that crime victims and witnesses can quickly transmit information about a crime scene or criminal act out to the world, impeding a detective’s ability to control the release of information about a case. Law enforcement agencies across the country apparently are moving to use social media in investigations, which could provide greater opportunities for test cases in the courts. According to a July 2012 survey by LexisNexis Risk Solutions, of 1,221 federal, state, and local law enforcement agencies that use social media in some way, four out of five agencies said they use social media for investigations. In fact, viewing posts on social media for criminal investigations was the most common use of social media by the responding agencies. Other purposes were reported by fewer agencies, such as conducting background investigations of job candidates (cited by 31 percent of agencies that use social media); “community outreach to build public relations,” 26 percent; notifying the public of crimes, 23 percent; and notifying the public of traffic issues, 14 percent. 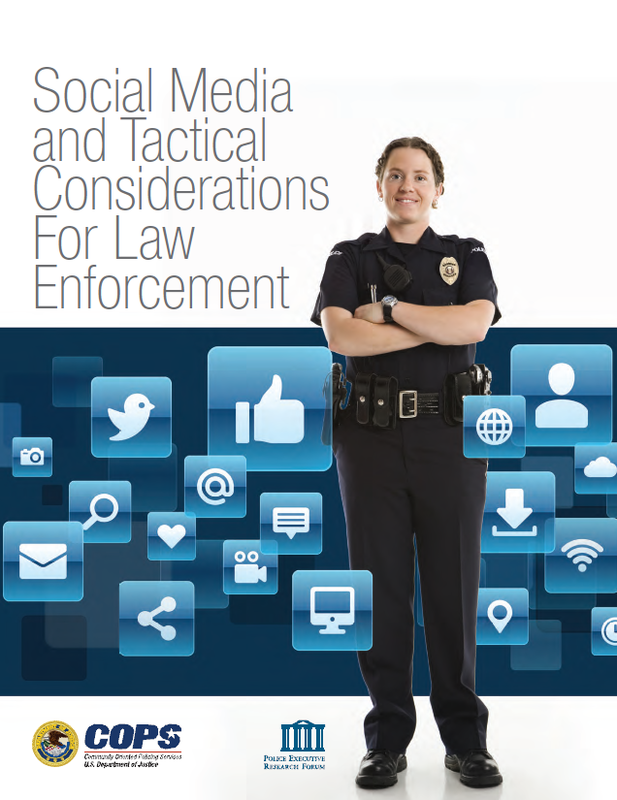 More than 80 percent of the responding officials said they believe that social media will be “critically important in the future” for crime fighting and investigative purposes, that “creating personas or profiles on social media outlets for use in law enforcement activities is ethical,” and that “social media is a valuable tool in investigating crimes.” And 48 percent of responding officials said they already use social media in investigations at least two to three times per week. Our study focuses on the use of social media for investigative and intelligence purposes by the New York City Police Department (NYPD). As the largest police department in the United States, the NYPD has resources not available in many smaller agencies. However, the lessons learned by the NYPD in studying social media communications have implications for agencies of all sizes. When faced with civil disobedience or mass demonstrations, police departments must maintain public safety while also protecting individuals’ right to freedom of speech. Police strategies for managing large demonstrations have evolved in recent years, generally in the direction of making greater efforts to engage demonstrators and assure them that the police recognize law enforcement’s role in protecting First Amendment rights. Law enforcement leaders also have developed best practices for preventing unnecessary uses of force and minimizing the arrests of demonstrators. With the development of new communications technologies, including cellular telephones, text messaging, and social networking, the ways in which groups prepare, organize, and congregate has changed. Protesters often use Twitter and text messages to make their plans and to share information about the progress of a demonstration, about police responses at various locations, and about other aspects of an event. Police agencies’ responsibilities for protecting citizens’ First Amendment rights have become more complex, as new ways of communicating have been invented and have become commonplace. A textbook example of this phenomenon took place in San Francisco in 2011, when the Bay Area Rapid Transit (BART) Police Department was faced with demonstrations following the police shooting of a homeless man on a subway platform. At issue was whether police may shut down cellular telephone service in order to prevent protesters from engaging in potentially illegal and dangerous actions inside the subway system. As of September 2012, the legal issues remain unresolved. But experts believe that the courts eventually will play a role in defining whether law enforcement agencies can limit the public’s use of social media during demonstrations.